Got heaps of goodies in the mail today. Most of it is for the Reign. I wanted to try and lower the bars as well as get more grip up front. 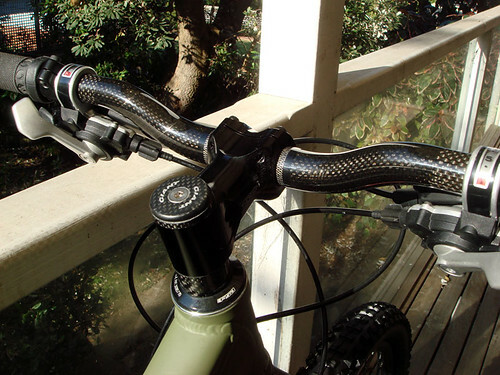 The shorter seatpost will also allow me to get the seat lower now (old post was too long). All the old stuff has gone onto Suga’s Talon as it’s all the same specifications only lighter. I alsmo managed to get some goodies for the Ti frame, the world’s lightest seatclamp at 8g (I’m such a weenie sucker) and also some grips which come in at 19g (lol! ).